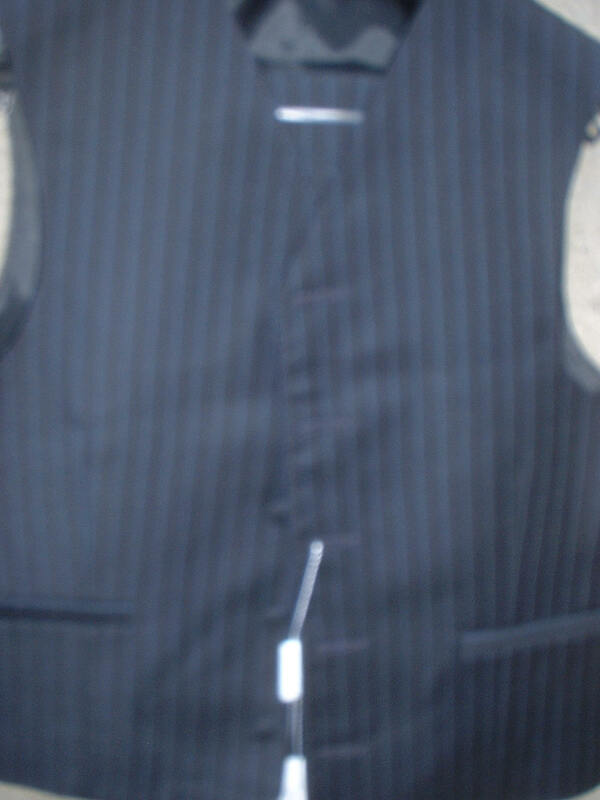 1, A really nice pinstripe. 2, A bold blue on navy stripe. 3, A muted thin blue on navy stripe. 4, A solid black suit with slight texture. All these are available as suits as well so a matching brothers outfit is possible. Prices of these vest sets are $139 or less. 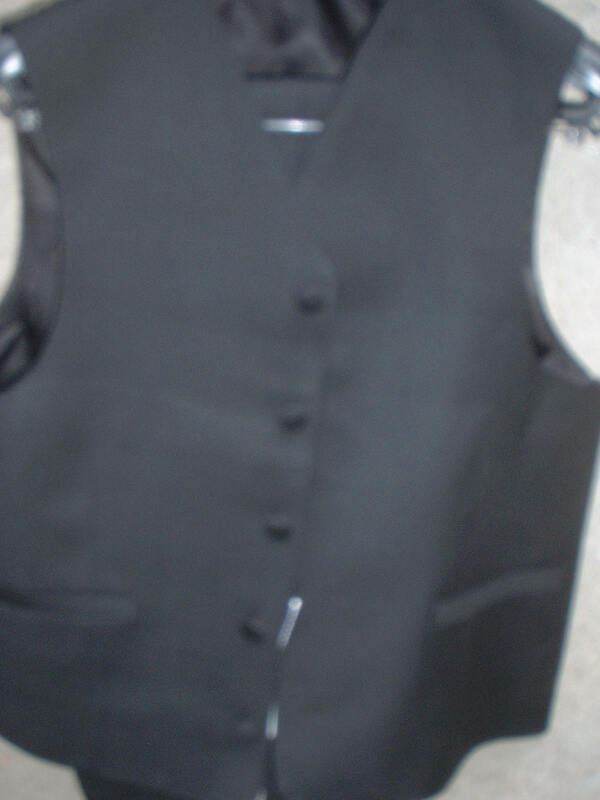 THIS IS A PHOTO OF OUR ELEGANT, GOLD BUTTONED, TRIPLE COLLAR VEST AND PANT. THE COLOR IS NAVY, VEST IS WOOL, FRONT AND BACK AS ARE THE MATCHING PANTS. THE BUTTONS ARE GOLD AND NAVY. 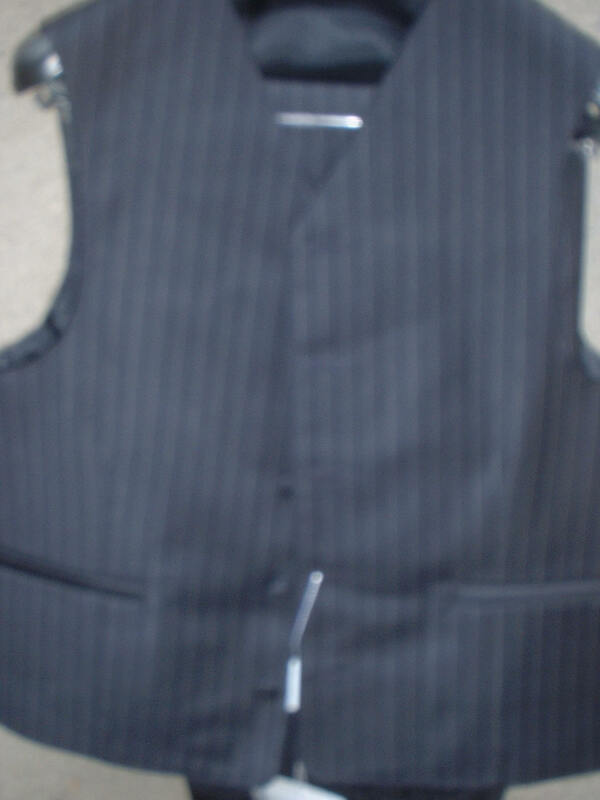 All vest sets are 100% wool, imported, made in Italy.